The term dofollow link is introduced in 2005 by Google, to reduce the search engine spam indexing and to improve the search engine results. Only Dofollow links pass link juice to the linked webpage and influence the target’s page rank. How to identify dofollow link? Both the above links are nofollow. For them the Rel tag should be set as “nofollow”. To improve Google page rank, you must get quality backlink. If you are a newbie you may wonder to know that a nofollow link doesn’t pass link juice thereby it doesn’t influence your Google page rank. So in order to get Good page rank you must build dofollow backlink (instructs spiders/bot to follow this link). » Improves blog authority in Google eyes. » Content ranks higher for multiple keywords. » Higher page rank attracts advertisers. If multiple links are pointing to the same webpage then Google bot considers the first link and ignore others. So if a webpage has two links pointing to same page of other website and out of 2 links, first is nofollow and 2nd one is dofollow then Google bot consider the first link and ignores second one, so in such scenario dofollow link gets ignored by bot and no link juice passed. The same rule applies for internal links too. Let me explain this with an example- Suppose one of my webpage has 10 links pointing to other websites and out of these 10 links, two links are nofollow (rel=”nofollow”). In this case 20% of link juice is of no use and remaining 80% link juice will get divided among 8 dofollow backlinks. Hope I made it clear :). As per Google webspam team head Matt Cutts, we should use rel=”dofollow” for internal page linking as it lets flow the page rank to other webpages and improves the overall website ranking. However post panda and penguin update varying anchor text are important while interlinking. Do not use the same anchor text while linking to your specific post. After reading above points, you must be thinking to build dofollow backlinks. There are many ways to get such links. one of the way is commenting on comment luv enabled blogs. Comment Luv enabled blogs generally offer free do follow backlinks. Many such blogs still gives nofollow backlink, which is of no use. There is still a method by which you can identify whether the backlink is dofollow or nofollow. It is good if your site is getting a dofollow link from a high PR website as it will pass more link juice compared to low PR website. Many website offers paid dofollow links, however I would suggest you to keep away your hands from such websites as instead of improving your website’s page rank, it can hurt your reputation in Google bot eyes and can get you flagged as spam by Google bot. Build quality backlinks by commenting or by Guest posting, these are still most valuable and effective ways to improve site rank even after panda and penguin update. Takeaway from above post. a) Have a healthy mixture of dofollow and nofollow with target keywords in anchor text. b) Don’t buy links c) build links from forums, commenting and guest posting. d) don’t use dofollow attribute while linking to untrusted source. Let me know if you have any questions and comments regarding this. Also let us know whats your method to build backlinks. if you like the post and wants to stay in touch then you can join us on facebook and Google plus. 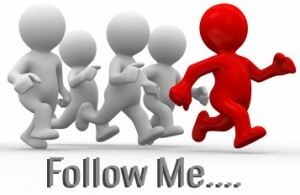 Dofollow backlink help us to Improves Page rank and Improves blog authority in Google eyes. It also increase SERP’s in search result and help us to get better rank in search result. So thanks to author for sharing SEO article. If Google’s default, therefore, is to ‘follow’, where is the need to use the ‘Dofollow’ attribute? Surely it’s reduntant and therefore has no use at all? There is nothing between ‘Nofollow’ and ‘Dofollow’ so one or the other is unnecessary! Comments? Actually the ability to identify whether a link is dofollow or nodofollow is somehow difficult for newbies and those with no knowledge of coding. one of the major confusion is that most people believe that any comment love enabled sites are dofollow. Like what Cris said, his method will only work on PC. So, what will mobile users do to identify it? Yes, your website makes a good point! However, I would suggest carefully exploring the websites HTML code in depth. For instance, if your adding a link to a directory, you need to identify the link location area within the HTML code. Some links on website – appear as rel=”no follow” while others are “do follow”. There are add-ons for fire fox brower which identify no follow links – but again you need to explore the HTML code. I wonder why bloggers and site owners place a rel nofollow attribute for all external comments. I haven’t understood the reason of it yet. It seems like selfishness I think.